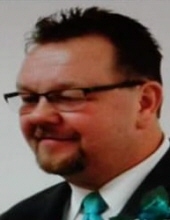 Hite, Roger Lee - Age 50, of Burton, died February 6, 2019. Services will be held 1 PM Wednesday February 13 at Faith Tabernacle Church, 1225 S. Center Rd., Burton, Pastor Bruce Garner officiating. Visitation will be held 4-8 PM Tuesday at Sharp Funeral Home & Cremation Center 6063 Fenton Rd. Flint. Those desiring may make contributions to Roger Hite Memorial Fund c/o Sharp Funeral Homes. Roger was born January 15, 1969 in Flint, the son of Lynn and Janet (Baker) Hite. He married Jacquelyn Kay Aurand on March 10, 2017. Roger attended Bendle High School. He owned and operated Clearview Windows in Flint for 17 years. Roger is survived by his wife: Jackie; daughters: Chelsea (Tim) Hawley, Karalee (Vernon) Weinhart, Ashlyn Berton; granddaughter: Isla Hawley; Jack Condon grand dad and "son" Jacob Hoss; siblings: John Hite, Sally (Greg) Drake, Jody (Judy) Honeysette, Lynn "Yogi" Honeysette; several nieces and nephews. He was preceded in death by his parents; and several siblings. Tributes may be shared on the obituaries page of www.sharpfuneralhomes.com. To send flowers or a remembrance gift to the family of Roger Lee Hite, please visit our Tribute Store. "Email Address" would like to share the life celebration of Roger Lee Hite. Click on the "link" to go to share a favorite memory or leave a condolence message for the family.